Yep, it’s officially my birthday and I just got surprised with the most awesome cake ever!!!! I’m definitely thankful to God for another year of life! I am now 27 years old, and it feels so good! I’ll most likely be away from the blog for a day or two since I’ll be out celebrating, but I promise to respond to everybody soon. One of my best gifts this year has been all the feedback, e-mails, and comments on my blog, so sending a big thanks to all my readers. Unfortunately, I have to work tomorrow and I’m about to go to bed, but until next time! Today was a super long day and I am completely exhausted! 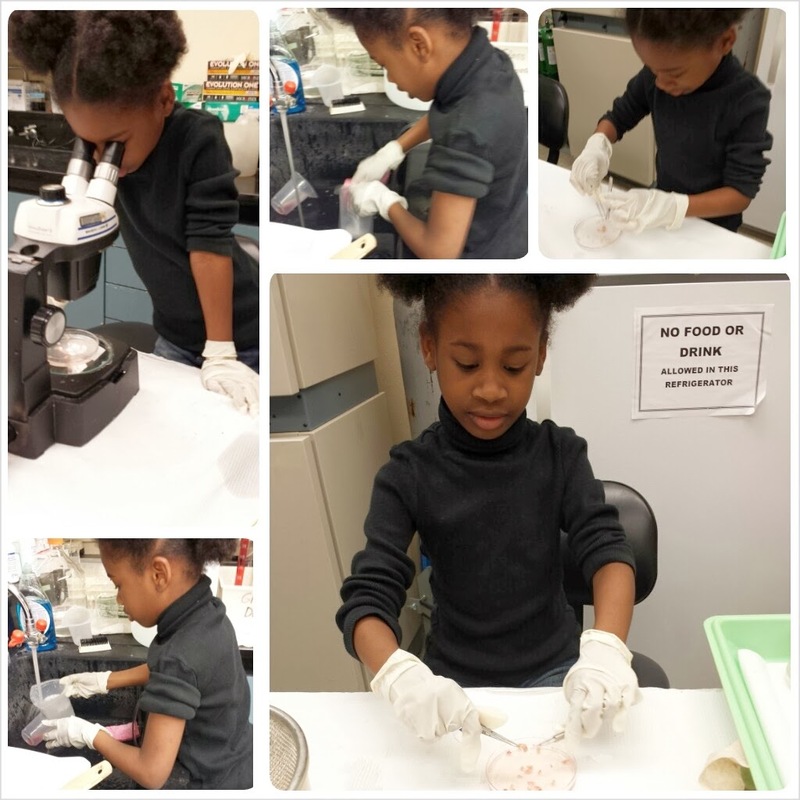 I finally went back to my lab, but since schools were closed for the third day in a row, I ended up bringing my daughter to work with me. We started at around 7am and did not finish until around 2. I have to say I am super proud of her for being able to hang that long! She didn’t complain at all and she even helped out a bit. Usually when I bring her to the lab I just sit her at the computer and let her play Disney games, but she found our experiment to be really fascinating today. I ended up turning it into a mini science lesson and let her view some organs and parasites. She even washed out some of the dishes for me and kept us all a bit entertained. I definitely see a future scientist in the making! With all the fuss that goes on about GPA and MCAT scores, a lot of people tend to forget another important aspect of the medical school application process: extracurricular activities (ECs). Some medical schools weigh these heavily because it shows that you can be a well-rounded student and balance multiple activities. It’s easy to have a 4.0 GPA if the only thing you do is go to school and study, and it is way more noticeable if you can maintain a high GPA while being heavily involved. In my case, I was extremely involved in when I first started my undergraduate career, and I tried my best to maintain my activities even after I had my daughter. I will say that once I became a mother, it became a lot harder to keep up with my ECs, but I found a way to have meaningful employment that sometimes doubled as community service and work. A lot of students may have to work to support themselves or families, and I know that medical schools take this into consideration as well. I guess the point is to make sure that you are always staying busy. You don’t necessarily have to become an officer of an organization or do community service all the time, but if you can fit it in every once in a while then you should be good to go. With that being said, below is a condensed list of the ECs I listed on my application (along with some commentary) so that you can get an idea of how they may have helped offset some of my low stats. Research – This is how I killed two birds with one stone. Research offered me paid employment, the chance to write abstracts and present posters out of state, and I even got a few publications. I basically have been doing research since junior year of undergrad. 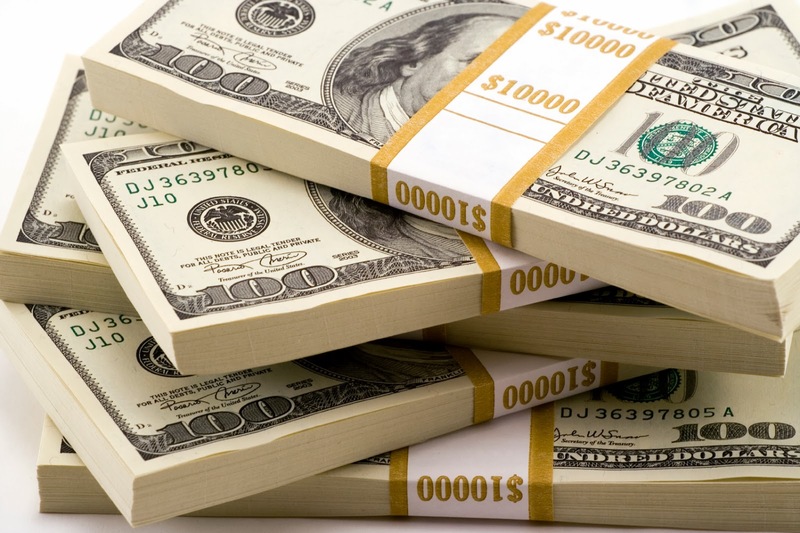 A lot of schools want to see research experience, so if you’re lucky enough to find a lab with money then this is a good route for a non-traditional student or someone who’s been out of school for a while. Hospital Volunteer – I volunteered 4 hours every Sunday for basically all of 2013. I was in the Labor & Delivery department, so this mostly consisted of getting patients extra blankets, bottles, etc and checking urine and diaper amounts. It was pretty low-key so I used most of the time to study. Being in a hospital is also a good way to get the clinical experience that most schools want, and it lets you know if you really want to pursue medicine for the rest of your life. If you hate being in a hospital or if you don’t like sick people, then you may decide that another career path will work best for you. 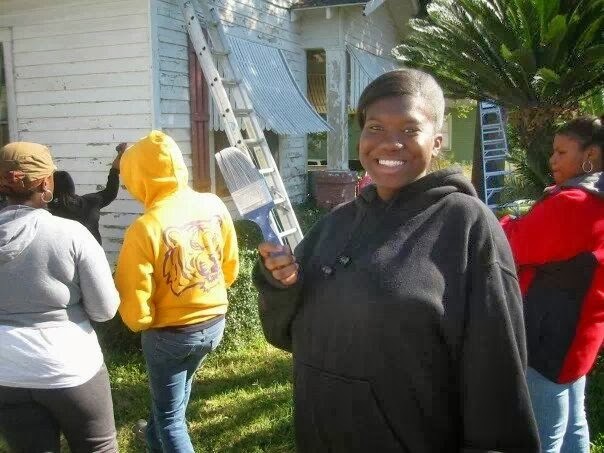 Regular Volunteering – Hurricane Katrina hit my very first semester of undergrad, so that is where my volunteering started. My school was one of the emergency centers for the state and since we were closed, I spent a lot of long days and nights helping those being flown in. Clean-up volunteering was on-going for a few months after the storm. I’ve also served as a high school mentor, volunteered at health fairs, read books to elementary children, and helped with a few on-campus events. Physician Shadowing – I have over 200 hours of this just by spending every day one summer shadowing a DO. This took a bit of effort because I also had to work, but I somehow got it all in. In 2013, I shadowed another DO and got about 20 hours from this. Most osteopathic schools will require a letter from an osteopathic physician, and you usually won’t get it unless you’ve spent some time with the person usually in the form of shadowing. Employment – Outside of research I also had jobs that included teaching autistic children, working for the Battered Women’s Program legal office, being a coffee house barista, and even working for residential life on campus. The first two jobs doubled as community service in a sense, and my work for the BWP was one of my most meaningful experiences. As a single mother, I needed to make sure that my child was taken care of, but I also really tried my best to have jobs that could benefit my medical school application as well. I’ve also served coffee and worked other odd jobs as well, so don’t be afraid to do what you need to do to take of yourself. Organizations / Leadership – I served as an officer in a pre-medical organization, and I also was the Vice-President/Co-Founder of an on-campus HIV/AIDS organization. This took a lot of effort and it wasn’t really feasible once I became a mother. I was involved until I couldn’t be anymore though. Case in point: the above picture was taken two weeks before I gave birth to my daughter. The sweat shirt covers my huge belly, but I was out with one of my organizations and a big smile on my face painting houses for the elderly. Conferences / Presentations – Whether I solely attended a conference or presented at one, I listed them all on my applications. Outside of those related to my research I mostly attended conferences related to medicine, so in my opinion listing them shows the schools that you really are interested. For presentations, I listed conferences that I attended and did not attend separately. Some of the research that has been done in my lab has been presented at international conferences, but I could not attend. If your name is listed on the abstract or poster though, you can still list it and just make a note that you were a contributor. I also listed the travel awards that I received from some conferences. I think that basically sums up my ECs. I know I didn’t list all the hours, but all my volunteering and community service hours came out to be over 1500 when I had to calculate them for one of my secondary applications. For employment, I usually worked 25-30 hours per week. I know a few people who think they should list being a parent as an EC, but I am somewhat against this. While raising a child and attending school is a huge accomplishment, it is a 24/7 job and not just an activity. I did mention the fact that I am a mother in my personal statement, but I left my activities section for everything else. I also would suggest keeping track of everything you do from the time you start college, because there were quite a few things that I forgot about and failed to mention in previous application cycles. This list can also be put into the form of a CV and used to give to your letter writers when the time comes. The picture above was posted by one of my friends on Facebook today and it’s one reason why I will definitely be living close to my school once I make the move to Georgia. 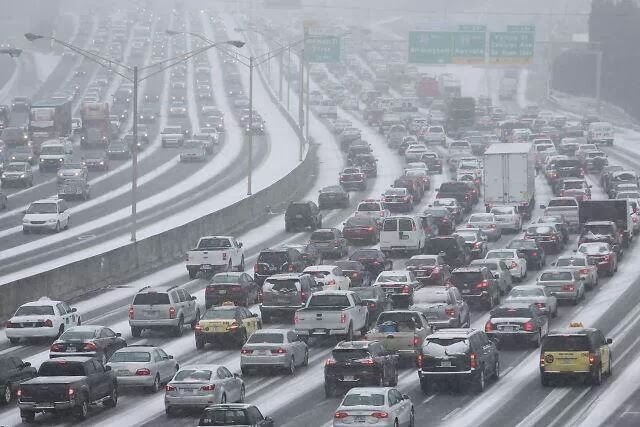 It’s a picture of I-75, and apparently it’s taking people 3-6 hours to make a drive as short as 30 minutes! Having previously lived in Georgia and experienced the traffic on a good day, I can only imagine what people are going through right now. I hope everyone who is impacted by this weather is staying warm and keeping off the roads. Meanwhile in Louisiana, everything was shut down today and will continue to be through tomorrow. I tried to be productive and make a trip to the post office earlier, but they decided to shut down at noon. Right now it’s 25 degrees outside and I’m starting to see white. The freezing rain didn’t really start for my area until around 12pm, so if I would have woke up earlier, I probably would have went into work and brought my daughter with me. The university where I work has been shut down, but I work in the veterinary hospital portion of the school so I can always go in if I need to. I’m just glad that I don’t do research that involves cultures or anything else that needs to be tended to every day. I had not planned on going into work this Friday, but it looks like that will be the case now and we won’t finish our experiment until next week. I guess the bright side is that I get a mini two-day vacation. I know my readers who live up north are probably rolling their eyes, but there is a reason why everything shuts down in the south due to winter weather. We don’t have salt trucks to make the roads drivable and this can cause a lot of accidents. Just this past Friday there were over 200 accidents in my state alone because people don’t know how to drive in winter conditions. There isn’t really a need for all-weather tires either. Furthermore, the temperatures usually don’t get below 50 degrees in the winter, and a lot of people I know don’t have the proper attire to handle this weather. I’ve pretty much lived everywhere so I’m not afraid of the weather, but my car and the streets are now covered in ice so I’m not going anywhere! I’m about to get in my bed and enjoy a good book, so I hope everyone has a very nice and warm evening. I hope everyone has had a wonderful weekend so far. I enjoyed work being closed Friday due to the weather, and I was able to deviate from my usual Saturday schedule yesterday and take my daughter to her classmate’s birthday party. I really do love seeing her interact with other children. It’s also amazing how they spend every day in class together, but when they see each other outside of school they act as if it has been years, LOL. I’ve always been one to bring cupcakes to school on her birthday to celebrate, but I just might work up the courage to throw an actual party for her this year if time allows for it. On another note, my lab was deep into finishing up an experiment at work last week and the break pushed us back a bit. We’ll have to make up for it this week and I’m definitely not looking forward to the monotony that comes with this aspect of the research that I am involved in. The bright side is that my birthday is on Friday, so I’m already looking forward to the weekend. I can’t wait to see what’s in store for me this year! But anyway, I’ll try my best to keep up with the posts this week, but if you don’t hear from me it will be because I’m just too tired. 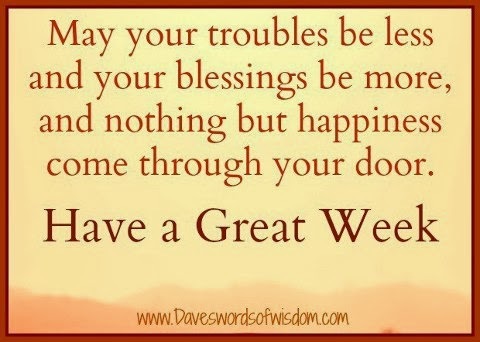 Wishing everyone a fantastic week! This giveaway has ended and the winners have been announced. Stay tuned for future opportunities! I had the pleasure of staying home yesterday due to freezing rain and it gave me a chance to do a little cleaning. I no longer have any need for my MCAT prep materials, so I figured I would give them away to a couple of my readers. Most of the people who have contacted me seem to have already purchased their MCAT materials, so I’m not sure if there is a need for them. If only one or two people want them, then that is who I will send it to. Apparently there are rules to giving away things on blogs, and there may be more than a couple of people interested, so I have decided to create a sweepstakes of sorts. 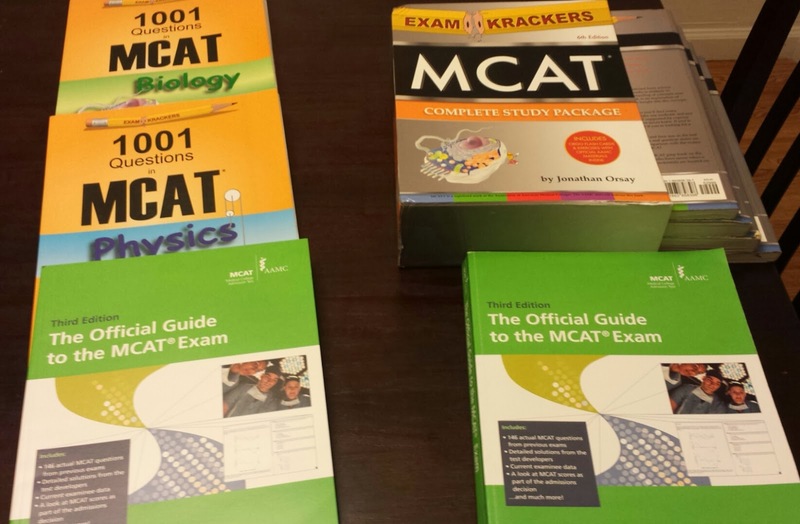 - Package A consists of two brand new Examkrackers 1001 Biology and Physics books, along with The Official Guide to the MCAT Exam 3rd edition by AAMC. I purchased all the Examkrackers items myself, and the AAMC book was sent to me for free with my final MCAT re-take this year. There is no highlighting or marks in any of the books, and the estimated value is $90. - Package B consists of the Examkrackers Complete Study Package 6th edition (books only), and The Official Guide to the MCAT Exam 3rd edition by AAMC as well. All of these items were purchased by me. The Examkrackers study package was purchased used from Ebay a long time ago, and it came to me heavily highlighted and written in. Some pages are filled with my daughter’s artwork as well. I would just throw these away, but the text is visible underneath the highlighting so somebody may find them useful. The AAMC book is in “like new” condition. The value in new condition for everything would be $230, but since the Examkrackers books are used, I will put the value at $50. There are two ways to enter: 1) go through all of my posts and leave a comment under your favorite one telling me why you like it, OR 2) you can leave a question/idea below that can be used for a future blog post. Please do this only ONCE, and make sure to include which package you are interested in (A or B) along with a unique code name that can be used to identify you. All three things must be done to be considered. The start date is 1/26/14 at 12am EST and final date will be this Friday, January 31st by 11:59pm EST. I (or my daughter) will choose the two winners at random. Good luck! Slowly, but surely, I’m finally starting to complete all my pre-matriculation requirements. I somehow managed to make it to my doctor’s appointment yesterday, and I knocked out the physical exam and immunization requirements for my school. Luckily, I participate in a health surveillance program with my job, so I was already up-to-date with my immunizations. The only thing I needed was a Mantoux Tuberculin skin test, but I get that every year anyway because it is required to volunteer in a hospital. I also needed to get titers to make sure that I have been properly immunized, but that only required my blood getting drawn into a tube. So far I have a clean bill of health, and I go back tomorrow to get my titer results and have my arm read for the Tb test. Hopefully all my titers will be positive because I really don’t feel like going through the vaccination process again. On another note, I got some really great advice from my physician on what I would need for classes. He said when it comes to ordering supplies, keep it as cheap as possible. He even showed me where I could find stethoscopes and otoscopes for sale on Amazon and Ebay. He had nothing but good things to say about DO’s, and said that he works with them all the time and there are no differences between an MD or DO. He did make it a point to mention that DO’s are extremely valuable to him in the sports medicine aspect of his job because of the OMT though. I think he even said that he knew a DO in a neurosurgery program, so I thought that was pretty cool. My physician is an MD, so I always find it interesting how all the attending physicians I come across see MD and DO physicians as equals, but on student forums I find people torn between the two paths. I’m just glad that I followed my gut and I can’t wait until the day comes when I get my first patient. I’m just now making it home after a very long day, so I will have no problem making tonight’s post short. Being a parent is definitely a great way to be exposed to new things outside of your interests, and I’m in a completely different world right now. For example, I started off this morning at an acting workshop with one of Tyler Perry’s casting directors. Now I have absolutely no interest in acting but my daughter does, so that’s what she’s been doing for the past year and a half. It’s definitely out of my comfort zone, but as long as she loves it we’ll keep going with it. It’s also pretty cool seeing how everything works behind the scenes and we’ve had some pretty amazing experiences so far. 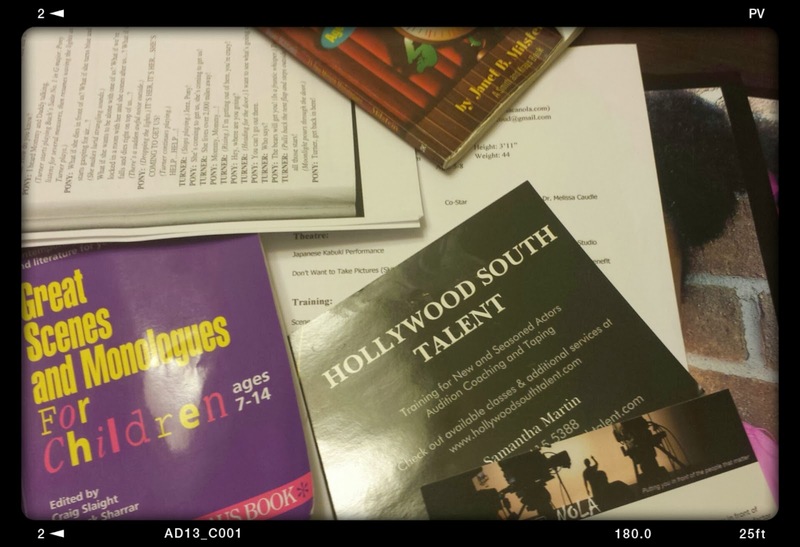 I never in a million years would have thought that I would have to worry about things like headshots, monologues, auditions, and building a resume for my 7-year-old, but that is pretty much what my free time consists of. Seeing her happy and accomplish new heights makes it all worth it though. Last month I got to see her on the big screen at a screening of a short film she was involved in, and I have to admit that it was awesome! I even find myself watching movies now and studying the actors’ movements and practicing with her. I will have a lot of free time between now and when classes start in August, so my main hobbies will pretty much be working on this blog and doing the “stage mom” thing. Don’t be surprised if you see a few shameless plugs for her projects every now and then! Today officially marks the one month point from when I first started this blog! I really had no idea what I was doing when I first started, but I’m really starting to get the hang of everything now. My goal was to write one post a day and although I missed a day or two here and there, I think 27 posts in a month is pretty good! I really do appreciate all the feedback that I’ve been given, and I am thankful for everyone who has taken the time to read my blog. I was told that my posts are a little long, so I’m working on writing shorter entries. I also updated my “about me” section with more information. I look forward to bringing you more, and I hope everyone has a fantastic weekend! I came across this picture on Instagram today and thought it would make for a great post. 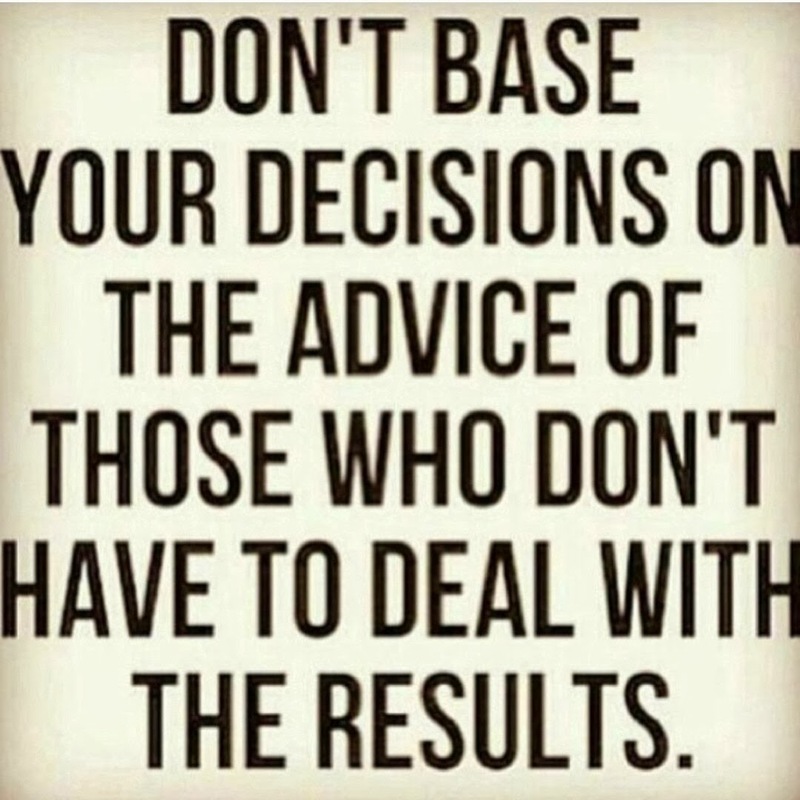 I’ve noticed that so many people love to give advice, but they don’t always have your best interests in mind when they do. Just because a particular path worked for one person, it does not mean that it will work out the same for you. I think a lot of people may have good intentions when they give advice, but they fail to take into account your situation and the resources that you have available. It’s also easy to come across people who are willing to tell you what you need to do to make it to a particular place, but they have never actually made it there themselves. I’ve seen this a lot lately on pre-medical forums where students who have not yet even been accepted into medical school tend to give the most advice on what you need to do to succeed. My suggestion is to take all advice with a grain of salt and do whatever works best for your situation. Do what works best for you because in the end, you’re the only one who has to deal with the consequences of your actions. 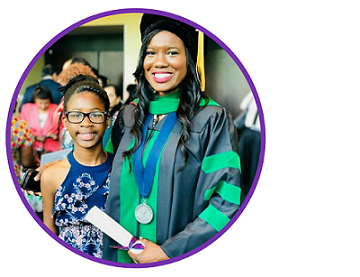 This week’s Minority Women in Medicine highlight goes to Dr. Jennifer Caudle. I had the pleasure of doing a phone interview with her this evening, and she truly is a wonderful and inspirational individual. I made sure to ask her questions which I thought would be extremely helpful to female minority students considering osteopathic medicine and her answers can be found below underneath her biography. Dr. Caudle is an osteopathic physician board-certified in family medicine. She graduated from Princeton University with honors, and attended medical school at UMDNJ – School of Osteopathic Medicine. She is also currently an assistant professor at the Rowan University School of Osteopathic Medicine. 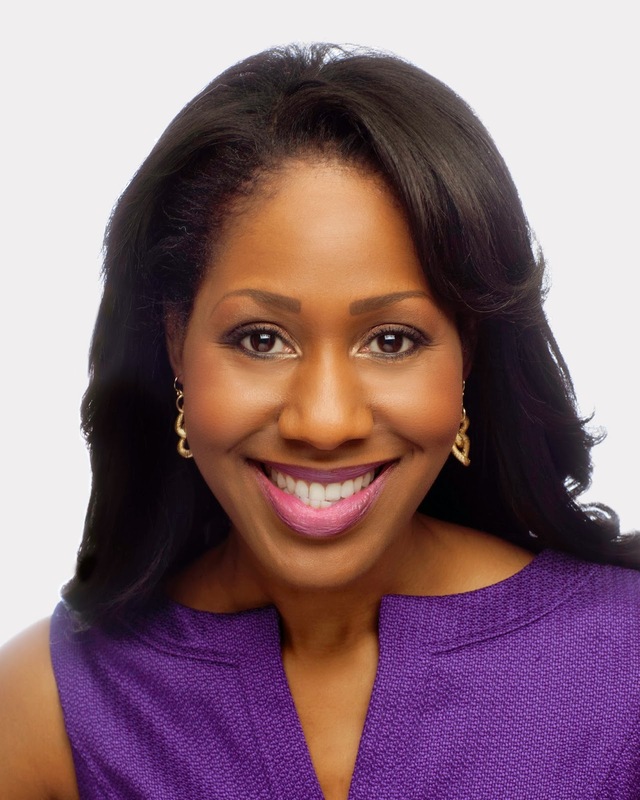 In addition to this she serves as an on-air health expert for CNN and other networks, has written numerous articles for many well-known publications, plays the cello, and presents many workshops across the country. She is also the spokesperson for the American Osteopathic Association. The above is a brief summary of her complete biography which can be found HERE. Dr. Caudle’s major inspiration in wanting to become a physician was her family doctor when she was younger. She was amazed by the bedside manner that her physician exhibited, along with routine activities such as prescription writing and how her physician was able to determine exactly what was wrong and fix the problem. She also loved talking to and interacting with people, and she had a passion for science. This eventually led to her shadowing her physician and various other physicians over the years as a way to explore her options and learn more about the field of medicine. Dr. Caudle did not attend medical school immediately after college. She participated in pageants, and during her senior year at Princeton University she earned the title of Miss Iowa. After graduation she spent the year preparing for and competing in the Miss America Pageant. It was during this year that she heavily traveled and also applied to medical school. She was accepted into UMDNJ – School of Osteopathic Medicine that year, but she took another year off to continue her public speaking work and to pursue an opportunity working for MTV Networks in New York City before she officially matriculated into medical school. Like so many others, Dr. Caudle started out not knowing what osteopathic medicine was and assumed it focused on the study of bones. Because of this, she had initially only planned to apply to allopathic schools. It was after graduating from college though when she found out that the family physician who she admired growing up was an osteopathic physician. Her mother mentioned this fact to her one day, and Dr. Caudle was determined to learn more. She fell in love with the philosophy of osteopathic medicine along with the training that included osteopathic manipulation treatment (OMT). In addition to this, she also felt that osteopathic medicine was a great fit for her personality. Originally, Dr. Caudle wanted to become a dermatologist. 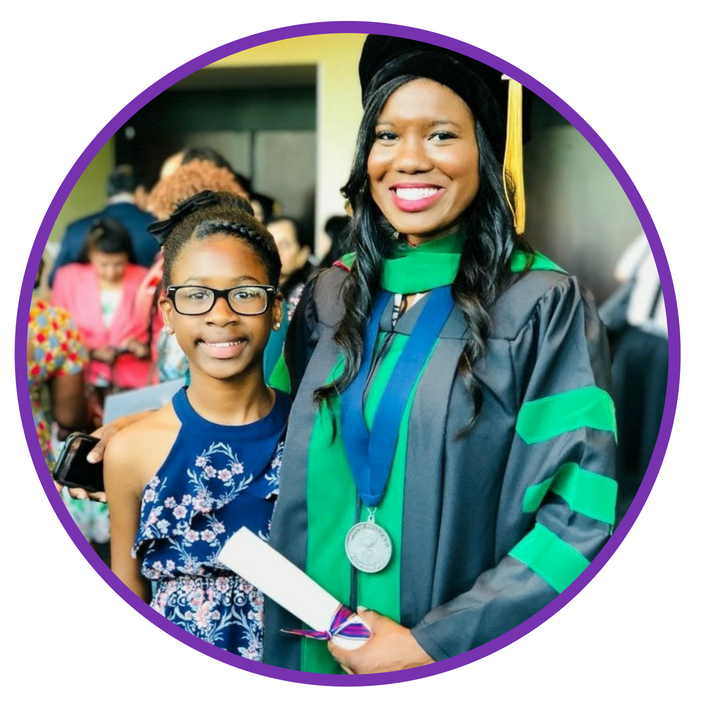 When she entered her third and fourth years of medical school, she did rotations in family medicine and decided that it fit her personality and interests more. She loves how family medicine exposes her to different patients, different stories, and different scenarios. Dr. Caudle also really values the diversity and wide scope of medical conditions that her field presents her with. Her favorite part of the field is getting to know families of her patients and in a sense, becoming a part of the same families that she treats. Dr. Caudle said that sometimes she works more than what she would like, and although it can sometimes be hard, she absolutely loves it. In addition to practicing medicine, Dr. Caudle is also a weekly on-air health expert for CNN, and she has had appearances on CBS and the Dr. OZ show. She is constantly educating individuals both in and out of the office, but she manages to balance it all with ease. When I asked her about how she handles it all, she stated that the trick is finding your niche or something that you can keep up with, and giving it your all. Follow your heart and what is in your heart’s desire. If medicine is not for you, then do not pursue it. If medicine is for you, then fight for it, show your passion, and give it your all. Keep your dream and goal in mind, and stay committed. THANK YOU SO MUCH, DR. CAUDLE FOR INTERVIEWING WITH ME AND CONTRIBUTING TO THIS BLOG. YOU ARE A TRUE SOURCE OF INSPIRATION FOR MYSELF AND MANY OTHER INDIVIDUALS CONSIDERING OSTEOPATHIC MEDICINE. One thing that I believe is most important in accomplishing any goal is networking and building relationships with those around you. Everyone has something special to offer, and you never know what new things you can learn from the people around you. Don’t be afraid to contact someone in the field that you are interested in and ask for advice. This is how I was blessed to receive many shadowing and volunteer opportunities in addition to the wonderful mentors that came along with them. It also helps to join various organizations. One organization that I recommend for all minority pre-medical and medical students is the Student National Medical Association (SNMA). I first became involved with this organization when I was a college freshman, and it has opened so many doors for me. Every year they have an annual medical education conference, and this is where thousands of minority students gather to become empowered and educated in medicine. The first time I attended one of the conferences I was blown away at the thousands of minority medical professionals and students that I came across. It was the first time in my life that I ever saw a large group of people who looked like me and had similar goals in life. It was also the first time that I was ever exposed to osteopathic medicine. All of the conferences I attended were eye-opening experiences, and I had the opportunity to network with many people who I would have otherwise probably never met. I will not have the opportunity to attend this year’s conference that will be held this April in Washington, D.C., but if you have the chance to do so I highly recommend it. Not only do they have information for both pre-medical and medical students, but they have information on post-bacc and graduate programs as well. If you would like more information on the organization, feel free to check them out at www.snma.org. Once I start classes I also plan on joining both the student and national osteopathic medical associations (SOMA and NOMA), and I believe all of these organizations will serve as great resources in my journey to becoming a physician. On top of organization involvement, carrying around a business card can help you with networking. It does not matter if you are a student. Just make sure that you have your contact information and your field of study. You never know when you might run into someone who can really help you get to the next level, and it is so easy to hand them a card rather than look for a pen and paper. It is also more professional in my opinion. Social media can serve as an excellent platform for networking as well. Whether you have a Facebook, twitter, LinkedIn, or other account, it is important to keep all your information current and professional. I have oftentimes not been able to find an e-mail address for someone, but have had access to their Facebook page. It never really hurts to contact someone that may be able to help you or offer advice. The worst that person could do is ignore you or say no. Networking will take you so much further with your goals than doing it alone will. Just remember that no one gets to the top by themselves. There will always be someone out there with more experience or a different outlook that can benefit you in your success. Networking allows you to come in contact with the right people and it will help make the journey into achieving your goals a lot easier. Sorry for the lack of posts this weekend. I have been extremely busy running around with my daughter and helping out with all her various activities. Anyway, the reason why I decided to go ahead and give the name of my school was because I came across an old reminder the other day. I had previously applied to GA-PCOM during the 2008-2009 application cycle and I kept the rejection letter that I was sent. For me, rejection never meant that my journey was over or that I had failed. In my eyes, the only failure in life is giving up too soon. Because this was my first choice school, I held onto my rejection letter with the thought in mind that I would frame it one day when my acceptance letter came. It took over four years for the acceptance to come (as you can tell by the dates that I have circled in red), but it finally happened. The rejection only added fuel to my fire and made me even more determined. Below I have posted both my rejection letter and acceptance letter from the school. I plan on having both framed and put together side-by-side as a source of inspiration for me when I start classes. I wanted to share this because I’ve seen a lot of people get rejected one time and decide to give up. Things may not always happen the way you want them to or when you want them to, but you have to have faith that everything will fall into place when the time is right. Looking back now, getting a rejection was one of the best things that could have ever happened to me. It allowed me to grow as an individual and experience more of what life has to offer. Also, I do not know how I would have managed to raise a toddler and handle medical school at the same time with no support system in place. They say that hindsight is 20/20, and I’m really beginning to understand that now. I’m rooting for all my readers to get accepted on the first try, but if that doesn’t happen, I hope reading this post will inspire you to not give up. 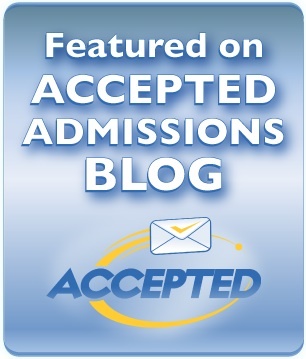 Since starting this blog, I have gotten numerous e-mails from people wanting to know what school I will be attending. Originally I was going to wait until classes started to reveal this, but it seems like it would be more beneficial to do so now. 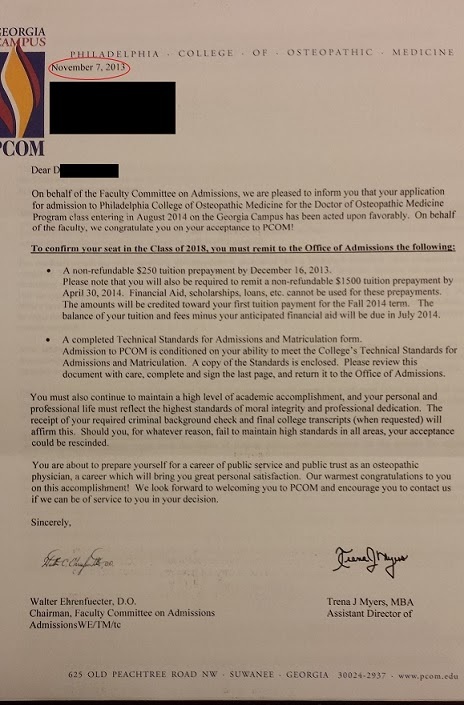 I will be attending Philadelphia College of Osteopathic Medicine – Georgia Campus (GA-PCOM), and I am super excited! It has always been my first choice and attending the interview made me love it even more. 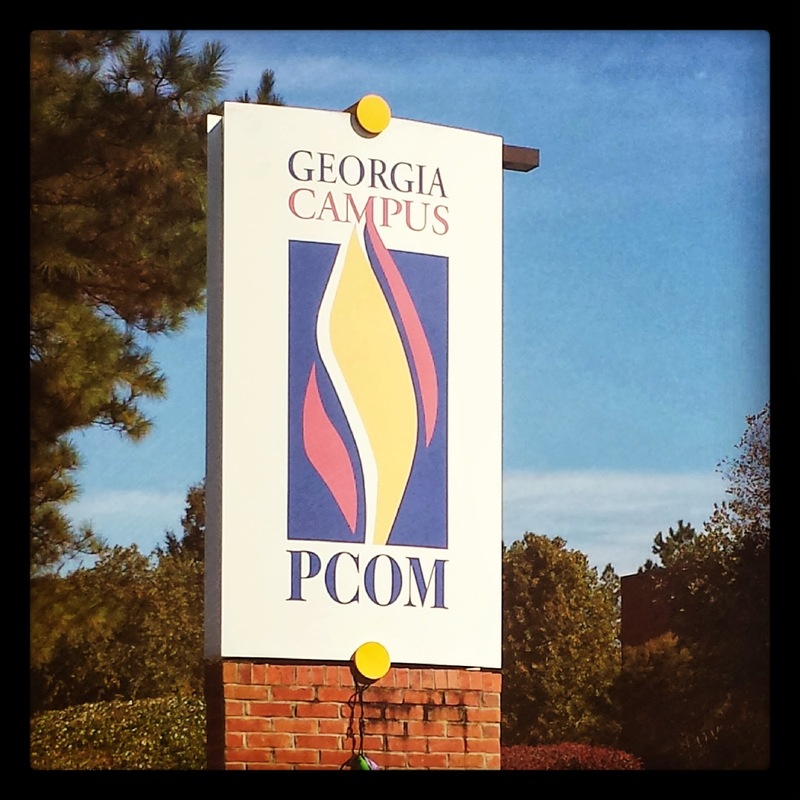 Before I received the interview I had quite a few reasons for wanting to attend GA-PCOM. I not only lived in Georgia during my high school years, but I still visit often and have family and friends there. My daughter will have family from both sides in the area, so this would give her the opportunity to interact with her cousins who are around the same age as her. I believe having a good support system is most important when it comes to medical school, so I did not want to be in a state where I did not have anyone close by in case any emergencies arose. Furthermore, the fact that I am already somewhat familiar with the area will make for an easier transition when I make my move out there. I also loved the osteopathic philosophy and wanted to stay in the south, and GA-PCOM was the only school that offered all of this for me. PCOM has a very good reputation and has been around for a long time, so I really wanted to be a part of the institution. I would have been happy attending any medical school, but for the reasons listed above I feel extremely blessed to have been given a spot at GA-PCOM. Attending the interview and seeing the campus further sealed the deal for me. All of the faculty, staff, and students looked very happy to be there and you could tell that the school really values its students. The facilities also looked very new and it is clear that the school is further developing and expanding. I loved the fact that the PowerPoint slides are printed out and waiting for the students before each lecture, and the lecture rooms were very spacious and had multiple big screens so that everyone could see. We even got to check out some of the exam rooms and I thought it was extremely cool that they had a mannequin that was able to simulate a live birth. There was even a gym inside the building, a game room complete with TVs and gaming consoles, and the library was very nice. I don’t believe I will have any problems finding a quiet place to study once it comes time for school to start. There is also a ton of free parking! After visiting my state medical school and having to struggle to find parking of which I then had to pay for, this was a major plus in my book. It is also a small school which gives a greater sense of community, and everything is very convenient to find. Lastly, I felt like this was a school that really values diversity and non-traditional students. My interview group was very diverse, and most of the other interviewees that I chatted with were all around my age or older and had similar life experiences. I really felt like this was the place for me, and I’m just glad that the school felt the same. But other than that, I have nothing but good things to say about the school. My interview experience was two months ago so I may have left out some important things, but I’m sure I will have more to say about the school after classes start. The picture I posted above was taken the day of my interview, and for me it represents the start of a new chapter. I hope you all will find the chapter just as exciting as I make my way through it. I came across this quote a while ago and loved it so much that I made a picture out of it. A lot of times it can feel like no one supports your dreams and that they are trying to talk you out of pursuing your goals. 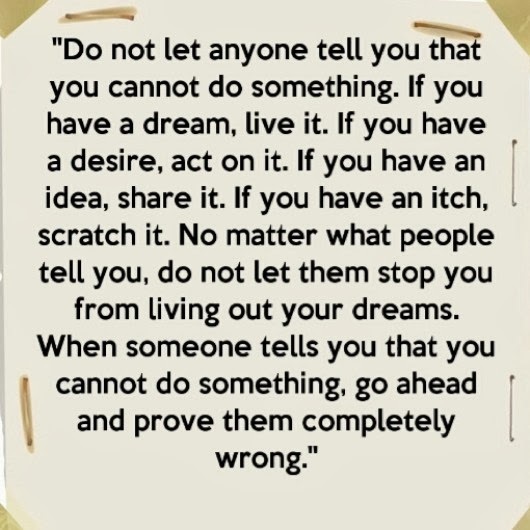 If something is truly in your heart though, you have to learn to ignore the naysayers and continue on your path. When everything is all said and done, the only thing that will matter is your happiness and that you achieved your goals. Just remember that misery loves company, and a person telling you that you cannot accomplish something is probably someone who either failed and gave up or is too afraid to do what you are working on achieving. I was asked a question the other day about the number of African-Americans attending osteopathic medical schools and if the chances were greater for minorities to enter into medical school. This had me not only thinking about the number of minorities in medical school, but the general number of female minorities that matriculate into medical school. I decided to research this information and I came across a very detailed and well-written blog that answered this question way better than I ever could. The link to it can be found here. I believe it is specific to allopathic schools and underrepresented minorities (URMs) in general, but I would be completely remiss if I didn’t share it because I think it is a very honest and thorough response to the question. It was recently updated, so it’s worth looking at. To get the facts on osteopathic schools, I went ahead and accessed the applicant and matriculant data from the AACOM website. For the 2013 entering class, it listed on 11.7 percent of applicants as being underrepresented minorities, and only 5.4 percent of applicants were African-American. I did find it interesting that the percentage of African-American female applicants was slightly higher than males, but for the other underrepresented minorities these percentages were pretty similar. AACOM does not have the matriculant information listed for the 2013 entering class, so I went ahead and took a look at the 2012 matriculant data and was somewhat shocked. 11.3 percent of underrepresented minorities applied, but only 6.5 percent matriculated. Furthermore, out of the 3.1 percent of African-American females that applied, only 1.4 percent matriculated. Now obviously I am an African-American female, so that is where most of my interest lies, but if you belong to another underrepresented minority group please feel free to check out the individual statistics here. - Why are so little underrepresented minorities applying to osteopathic medical schools? - Are osteopathic schools doing enough to increase diversity? - Why do people continue to believe that minorities have an easier chance of getting into medical school when this is clearly not the case? - Why is it that African-American male applicants are less than half of female applicants, but the number of matriculants for both genders is so close? I obviously don’t know the answers to these questions, but in my OPINION as an African-American, whether or not you're in an osteopathic or allopathic school there won't be a lot of African-Americans unless you attend one of the allopathic HBCUs (Morehouse, Howard, Meharry). I don't think this is because osteopathic schools don't want us there, but I think it is more due to the fact that we aren't really informed about our options or what osteopathic medicine is. I also don't believe that as a minority that we get any special treatment in the application process. If you look at some of the schools in the AACOM CIB, there are some schools listed that have 0% African-Americans enrolled. I think the chances are somewhat higher for us if we apply to these schools, but then you have to decide if you would really be ok with being the only black person in your class for four years. I'm used to this because a majority of my childhood was spent in schools that had very few minorities. It's nice to know there are others like you going through similar situations, and for this reason I avoided applying to a few of the schools that had very little minorities. I’m assuming there are others who feel the same way as myself, but please remember that these are only my opinions. What is clear to me is that osteopathic schools could do a lot more to raise awareness about DO’s and they could also develop more strategies aimed at recruiting a greater number of minority applicants. 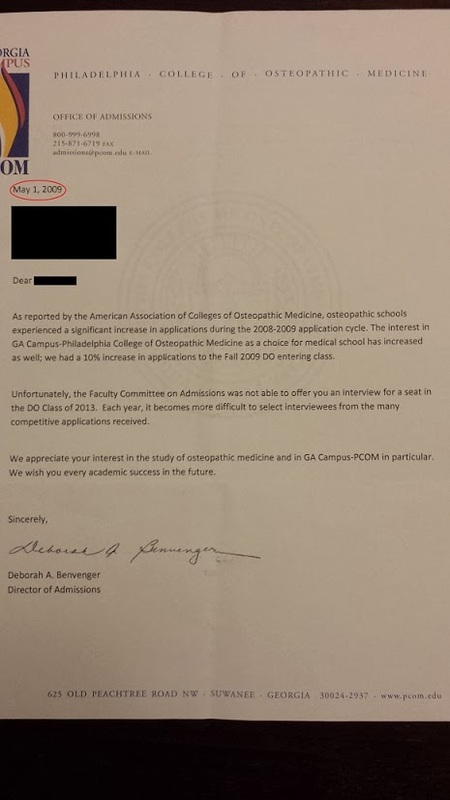 People cannot apply to something that they know nothing about, and I really think this is the biggest obstacle to be overcome in terms of osteopathic medical schools. Someday in the future, the public will be fully informed and accepting of the two types of physicians in the United States, but until that time there is so much more work that needs to be done to raise awareness for osteopathic medicine as a whole. Today was my first day back to work after a very long and much needed Christmas vacation. My daughter also went back to school today, but due to freezing temperatures the start of classes were delayed until 10:30. I thought the delay was pretty crazy since it was only 22 degrees outside and there was no wind or rain, but that’s what happens in the south (LOL). I can’t stand the cold weather either, but after growing up in a military household and practically living everywhere, I can pretty much adapt to any environment. I’m just glad that I will get to stay in the south for medical school. The interesting thing is that even the city where I will soon be relocating to had a record temperature of 6 degrees today. Crazy! But anyway, coming back to work today made me realize that I only have about six or seven months to go before my life undergoes a drastic change. I will be leaving a job with a set yearly salary and benefits to basically become a broke student again, and yet I am extremely happy about this. I love research, but I really do feel that medicine is my calling and I’m ready to pursue the next chapter of my life. I will also be leaving from a place that I have called home for the past nine years and moving to a completely different state. I’m lucky to be moving to the state that I am familiar with and where I lived for 2 years prior to attending college, but I’ve never had to make a major move since becoming a parent. I’m used to change, but my daughter isn’t so I guess I’m more concerned with how she’ll handle all the major changes that are coming. It’s a lot to take in when you really think about it, and I feel like I really need to start preparing for everything now. My plan is to go house/apartment hunting sometime in the near future, and I’m thinking that I should probably quit my job in June. This should give me enough time to move and get used to my new surroundings. I will also have to deal with registering my daughter for school, budgeting for the time when I will not have any income coming in, and getting everything I need for my first year classes. I just want the transition to go as smoothly as possible, but thinking about it all is a bit overwhelming. I’ve never been so excited about something and yet scared at the same time! Everyone says to relax and enjoy the time that I have now, but I’m so ready to start medical school and experience all that it has to offer. August can’t get here fast enough! Is there anyone else out there who feels the same? For a lot of people, preparing for the interview is one of the most stressful parts of the application process. There are concerns about what to wear, what questions will be asked, suitable hotels, whether or not to fly or drive, how early to arrive and the list goes on. Below I will detail my interview experience, and try to give a little advice along the way. I was so excited when I received my first interview invitation. I had just made it to work one morning and was getting out of my car when I heard the e-mail notification go off on my phone. I had a separate e-mail address and sound for med schools, so I figured it was another rejection e-mail and braced myself for the worse. I could have screamed when I saw that it was the exact opposite! This was in early October, but the invitation was for December. I wasn’t too concerned at first though because I figured it would give me enough time to prepare. I logged onto the SDN forum to share the news with others in the school-specific section, and I noticed that many people were getting invites at the same school with much earlier dates. As the weeks went on this started to somewhat worry me, plus I had a final exam in my on-campus class the day after my original interview date, so I decided to call the school. I figured they had given me a late invitation since I was out of state, so when I called I told them that I had no problem making it to the school from out of state, and if an earlier interview slot opened I would be happy to take it. This was on a Friday afternoon, and to my surprise the person in admissions replied with “Can you be here Monday?” I was ecstatic and immediately said yes! And so my interview preparation began…. The first thing I needed to decide was what I would wear to the interview. Fortunately, I have attended quite a few conferences and have a closet full of professional attire. Many people said that a dress suit is best for females, but I just couldn’t bring myself to go out and buy one. 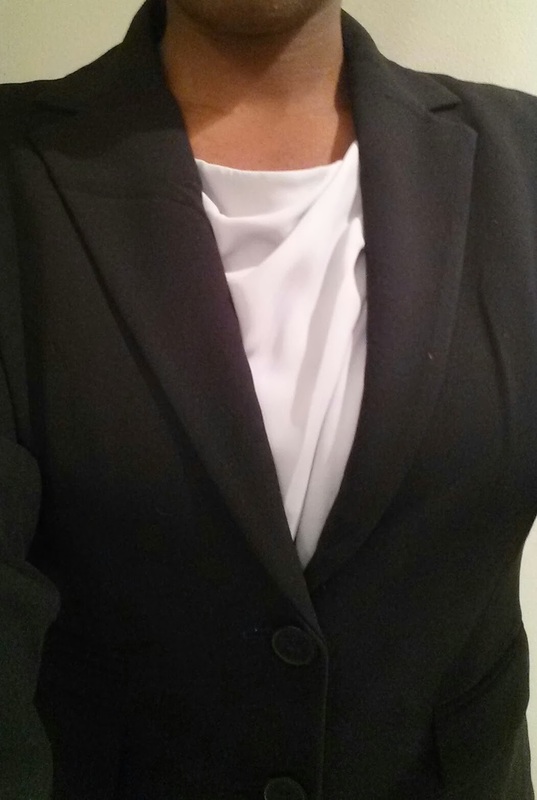 I feel confident in a pant suit and I am always cold, so the more covered the better. I did go out and buy a blouse that completely covered my chest, and I wore this underneath my suit jacket. I also went and bought lower heels. I love my 4, 5, and 6 inch heels, but sadly they are not appropriate for interviews. Overall, I was very happy with my choice. The heels were very comfortable for walking during the tour, and I did not have to worry about being self-conscious over skirt length. It also seemed that everyone in the interview group wore dark colors, so it was a good way to fit in. The school where I interviewed and will be attending is 8 hours away from where I currently live. I thought about flying, but I still would have had to get a rental car once in the area. Also, with the new interview date only two days away, plane prices were ridiculous. Driving is cheaper and it would give me some much needed time to myself, so this was a no-brainer for me. The school’s website had mentioned that hotels in the area gave discounts to visiting people, so I called up one and was able to get a rate of $75/night. I was only staying one night, and they offered late check-out for free. Plus, it was only 1 mile away from the school which meant less stress for me in the morning. Most of the Sunday before my interview was spent driving. Once I made it to the hotel, I checked in and then decided to go find the school. I’m glad I did this. The GPS I was using had not been updated so it got me a little bit lost. I’m so thankful that my phone has navigation, and it literally only took 2 minutes to make it to the school and back. There was an Outback restaurant directly across the street from the hotel, so I took the time to order some take-out, and went back to my room to go over stuff for my interview. For my interview, I utilized a ton of resources. I think the best one is the interview section on the SDN forums. It has all the questions that were asked to previous interviewees, along with their thoughts on each school and what to expect. I also found a list on the internet from a pre-med committee with at least 100 questions that could be asked. I went over each and every single question, and thought about what my responses would be. I even looked into recent health issues in the news and prepared myself with questions that could be asked from that. I even made out a list of about 20 questions to ask during my interview just in case I forgot later on. I did all this for about 2 hours while eating my take-out and watching the Black Girls Rock award show that night. I also made sure I went to sleep by midnight so that I could be well-rested. The day of my interview I woke up around 6:45 for an 8am interview. I was showered, dressed, and out the door by 7:40. I made it to the school around 7:45, and we all signed in, got out name tags, and waited until around 8 or 8:15 (I can’t quite remember). We were then met by a person from admissions who spoke to us and gave us folders with financial aid and other school information. After this was done, we were taken into a computer room where we had 30 minutes to type out our responses to a few pre-interview questions. I really liked this because it gave me time to really think about what I wanted to say, and it further prepared me for my interview. From there, our group was given a complete tour of the school by one of the student ambassadors. Afterwards, we were taken into a room where there were current students and other people from admissions. This is where we found out who our interviewers were, and we waited while each student took their turn. There was food, and everyone in the room was more than happy to answer any and all of our questions about the school. The admissions team really did an excellent job making us feel more comfortable and easing our nerves that morning. When it came my turn to interview, I was taken into a room and my interviewers were a faculty member and medical student. My interview was extremely laid-back and the questions were mostly designed to get to know me as a person. I was prepared to answer any questions about my shortcomings, but I was asked nothing about my grades or scores. Most of the questions were geared towards my study habits, why I chose that particular school, and what I liked to do in my spare time. This made me really happy. They also didn’t mind the million questions I had, and I appreciated that there was a student interviewing me as well because some of my questions were centered on student life. After the interview, I was done for the day. I made it back to my hotel around 11:30 and I was back on the road to come home by 12. I had promised my daughter I would be home to tuck her in that night and I made it back with five minutes to spare. The best thing I could say about the interview is to be yourself. I asked a lot of questions and even made sure that I spoke with current students. This is a place where you will be spending the majority of your time for the next four years, so make sure that you absolutely love it. I made note of how helpful the admissions team was, how happy the students were, and I asked the important questions about attendance, tests, and all that other good stuff. I left feeling really good about both the school and my interview, and this feeling was magnified when I received the acceptance e-mail four days later. It was definitely a wonderful experience, and I hope everyone that is currently on the interview trail has wonderful experiences as well. Hopefully everyone has had a wonderful week. My daughter spent the last week with her grandparents which gave me a very much needed break, and I can happily say that I am feeling somewhat refreshed. Most of my day has been spent driving so that I could pick her up, but I'm finally here and ready to spend the night bonding with the family. Just wanted to give the heads up that I'll be back on the road tomorrow, so my next post most likely won't be until Sunday or Monday. I hope everyone has a fantastic weekend! This week’s Minority Women in Medicine highlight goes to Dr. Barbara Ross-Lee. She was the first African-American female to serve as dean of a United States medical school. She is also an osteopathic physician, and sister of the legendary singer Diana Ross. I had the pleasure of meeting her a few years back at a Student National Medical Association (SNMA) national conference, and she really inspired me to pursue osteopathic medicine. At the conference, she spoke about having to work multiple jobs, which included everything from babysitting to being a teacher before entering medical school. She also talked about the many obstacles she faced in trying to pursue medicine and how many thought that she would not succeed simply because she was a woman. Despite all of this, she not only went on to become a physician and a dean of a medical school, but she has also served in the military and on health committees, authored many publications, became a strong advocate of osteopathic medicine, and did it all while raising five children! At the conference, she said something that has always stuck with me: “qualifications are a measure of opportunity and not of worth”. 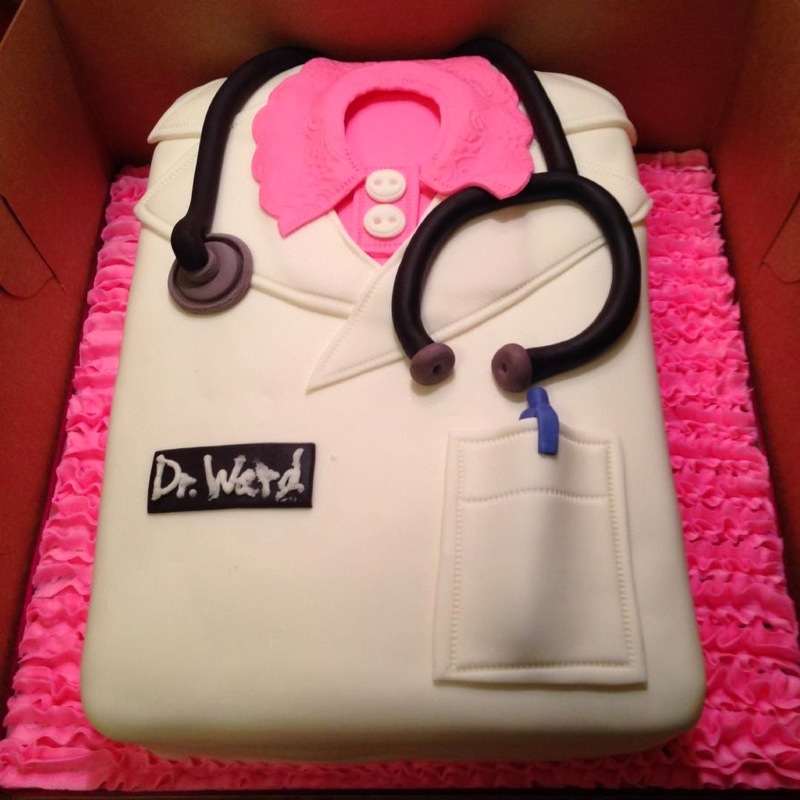 This touched me because at times I felt that I was not worthy of becoming a physician simply because I did not have the set qualifications that everyone said I should have. It made me remember that I do have worth and that I should I should always keep that in mind. I’m super excited that I’ll finally be able to prove my worth in the field of medicine, and I’m glad that I’ll bear the same initials after my name as this incredible woman. If you want to read more about Barbara Ross-Lee, I found the links below to be very informative. I hope she inspires you as much as she has inspired me!